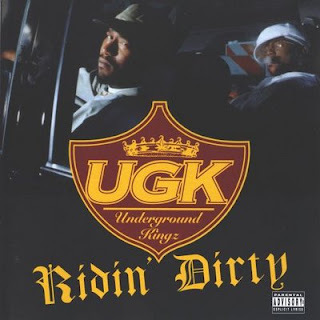 UGK stands for Underground Kingz. It was a rap duo from Port Arthur, TX. The original group first started in the late 80's and was called Mission Impossible. It consisted of Pimp C and his friend Mitchell Queen, who is also known as Big Smokin' Mitch. One of the tracks that the duo recorded was called Underground Kingz. Then came the addition of two more members, Bun B and Jalon Jackson. The name of the group then changed to the Four Black Ministers. They recorded a track called '93 Mac on Dangerous Music Incorporated (DMI). Mitchell Queen and Jalon Jackson were both athletes and could not devote the time or the attention the group needed. They left the group and now there were only two members left. The name changed again. This time Pimp C and Bun B selected the name Underground Kingz. Pimp C was the voice of the group. He had a very distinct tone along with his southern dialect. He was also very well known for his production skills. 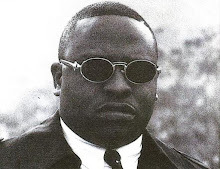 He provided some of the most notorious beats ever to be produced in southern rap history. While Bun B is still hailed as one of the coldest rappers in the game. His intelligent flow and unbelievable ability to rhyme is unmatched, even today. Ridin' Dirty was their third studio album and was released in 1996 on Jive Records. Production was done by Pimp C and N.O. Joe. The beats are just spectacular. Solid samples have been used and that southern twang is evidently present. Lyrics don't fall short either. Both members have the ability to fluently deliver a point across. Pimp's style is unique because of is southern tone and relaxed dialect. While on the other hand Bun is just ferocious on the mic. His rhyme pattern is so difficult to predict due to the tremendous amount of word play he uses and at very rapid rate. Featuring on the album is 3-2, Big Smokin' Mitch, Smoke D, N.O. Joe, Ronnie Spencer, Kristi Floyd and Reginald Hackett. This masterpiece of an album is considered as a timeless classic in the southern region and has also earned the group a gold plaque. They group is also credited for coining the terms "Trill" and "Ridin' Dirty," both of which are being used so freely by almost every other rapper. Sadly, Pimp C passed away in 2008 and Bun B issued a statement saying one more UGK album will be released in the year 2009. Rest in peace Pimp C. Also the picture used on the album cover for Ridin' Dirty was taken right outside DJ Screw's house in Houston, TX.